I surfed in my teens on tame East Coast waves. The draw to surf and to all aspects of water waves has never left me. I seek and study waves in lakes, rivers, oceans, storm sewers, and boiling hot springs. And like a kid with a shoe box full of treasures, I have mentally cataloged all of the famous surf breaks from the chilly shores of Lake Superior getting pounded by an October gale to Bali the mystical Island of Temples with its thousand surfing waves. Mavericks in a legendary Northern California wave near Half Moon Bay that breaks a half-mile out to sea and gets downright perilous to surfers when the winter swells get juicy. Mavericks is also the name given to Apple’s new operating system upgrade. Mavericks is not so much the inspiration for a Beach Boys song as it is a symbol of Melvillian existential struggle. As an late Apple products convert, Mavericks strikes me as an appeal to the existential extremes of the extreme sports universe and a curious marketing decision. 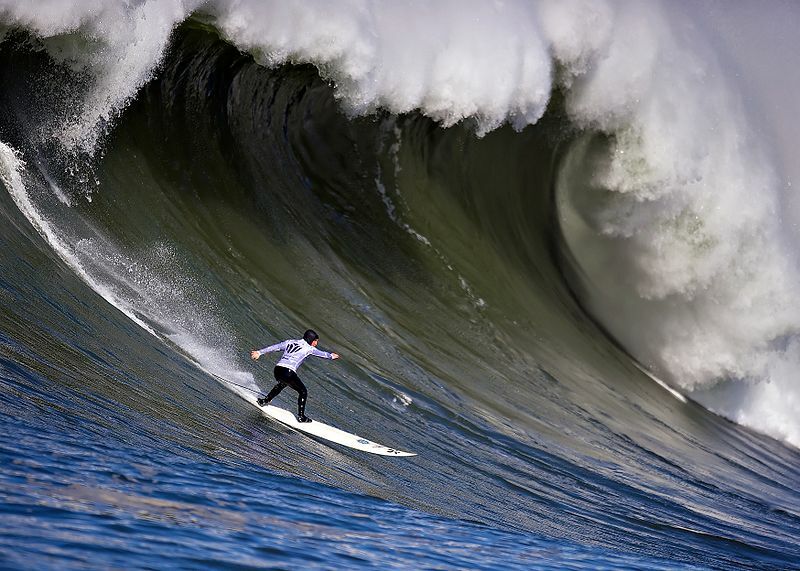 As a wave Mavericks is one of the ultimate big wave machismo rides on the globe — a death defying free fall down a Matterhorn of water chased by an avalanche of roiling whitewater. As for Mavericks the OSX upgrade, I haven’t downloaded it because I rely on a MacBook Pro to ply my trade. I am patiently waiting for my smarter teammates to resolve any compatibility kinks with Chrome Driver that might confound our integration tests and potentially munge other development artifacts so I don’t end up dead in the water. Apple’s Private Beach, The Millions, by Stewart Sinclair, November 13, 2013.